Selling a website can be a tricky task. Without prior experience and lack of knowledge you may have a very troubling time while selling your website and it may turn out to be a bitter experience. You may also end up getting a lot less than what you actually deserve. Last month I sold my website droidbeans.com on Flippa. Flippa is a well-known marketplace for selling websites, and you may have heard about it already. The website was 5 months old and was receiving about 350,000 page views a month (both blog and forum combined). However, due to a busy schedule I was not able to devote proper attention and time to the website and I realized that my best interest would be to sell the website. I had no prior experience with Flippa, and I was pretty much clueless. However, some really good blog articles and forum posts helped me understand the process. I applied those in my listing, and they aided me to sell the website for a very satisfactory price. I am going to describe my experience in this post and explain 12 key points I learned from my website sale. Note: I don’t claim to be some sort of Flippa expert. I sold just one website through Flippa. But I do believe that the following tips will help Flippa newbies out there trying to sell their website. Before listing your site for sale make sure that it generates some revenue. You’ll get far better offers for your blog or website if it is already generating revenue. An income around $10 per month won’t attract many buyers but something more than $100 a month with consistency, will help you close your deal with great offers. If your website is not generating enough revenue you should hang onto it for a while and build it up for more viewership and income. It would be a smart idea to suggest some monetization strategies in your listing. If you know you’ve fallen short on monetizing your traffic, you can suggest what the possible improvement steps are. However, refrain from speculating about future revenue. It is highly recommended having Google Analytic reports to share with potential buyers. It will give the buyers a mean to verify the traffic details in a very convenient manner. You must have Google analytics data of at least 3 months. Serious buyers may ask you to allow them access your analytics account. You should not hesitate to do that. You can add them as a ‘Read-Only’ user. The user management option in Google Analytics makes this process really easy. It is considered a bad indication if you are not willing to provide details about your website. Provide a high-level summary or overview at the top of the auction copy. You should use the rest of the description to dig into the details. Link your social profiles and add your profile photo to show that you are a “real person”. This will help you to gain trust of the buyers and attract more bids. What is interesting is that many Flippa sellers do not prefer to reveal their identity. So, being transparent will help you to stand out from the crowd. Let the bidders know why you are selling the website in the listing description. If you don’t provide the reason, the bidders will keep asking for it in the comment section. Not revealing the reason may also be seen as an indication of your website going downhill. Make sure that the reason you give is a genuine one. Some sellers are so obsessed with this, and now a days I see many “I got divorced”, “my kid has cancer” etc. popping up again and again. Believe me, the buyers are smart enough to figure out the fake ones. To make your Flippa listing a hit, you should keep your auction duration between 7-12 days. Keeping it short for 3-4 days can reduce the number of viewers, whereas a listing with auction length of 20-30 days or more will make the potential buyers not to bid. So, in my opinion (and the opinion of many experienced Flippa sellers) it is better to keep the auction length between 7-12 days. Many people set the auction length for 30 days in the hope of getting more bids but what actually happens is that their auctions become dead. Many interested buyers refrain from bidding because there is plenty of time to go and may very well forget about bidding altogether. Always start with a low reserve. If the buyers keep getting the message “Reserve Price Not Met”, they will lose their interest in bidding. It is recommended to set the reserve price low. This way the bidders will get the message “Reserve price has been met” and they will be more interested in bidding (because now they know that the website is actually going to sell). 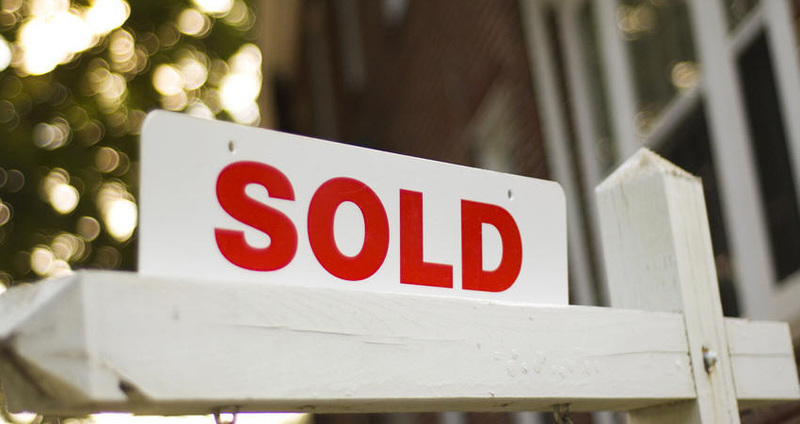 Sellers are legally bound to sell the property once bidding meets or passes the reserve price they have set. Flippa experts suggest starting with minimum reserve of $1. But I will admit it, I wasn’t brave enough to set the reserve to $1. I couldn’t stomach the idea of someone winning the auction for a significantly low price which could have happened in case my listing didn’t get enough attention. Still I kept a reasonably low reserve price. The reserve was met on the 4th day of the auction and after that there was a considerable increase in the number of bids and my listing got a spot in the first page of ‘Most Active’. Many buyers have no clue how to estimate the worth of a website. So the potential buyers of low to mid range sites want to know how much the seller is expecting for the site. The entire auction “war” is about which buyer can win it at a price below the BIN price. A low reserve price and providing the option of a “Buy it Now” price gives the buyers the confidence that they can pick up a bargain. At the same time the buyers can also jump in and win the auction at the bin price if the auction starts to get a little hot. Makes sense, doesn’t it? Now here is the argument against setting the “Buy it Now” price. Sometimes the seller may underestimate the worth of their own website and can set a significantly lower “Buy it Now” price. So you need to put in a lot of consideration while deciding your BIN price. You will most certainly don’t want to cut yourself low, and at the same time you also don’t want to make the buyers lose interest by setting an unreasonably high price which the website doesn’t deserve. In order to improve the credibility you should respond to every comment in your listing. Refrain from deleting any comments (unless you have some a really good reason to do so). Having a lot of comments deleted will hamper your credibility and the potential buyers get the impression that you have something to hide. After two days of auction the highest bid I got was $200 and I have to admit I was starting to get worried. Then I got messages from some buyers offering to buy the site for $2000. I was tempted to accept their offer. But I knew the site deserves more, so I decided to let the auction run its full course. You should not be too hasty in accepting offers that the buyers make via private messages. If you are confident that your site worth more then be brave and just let the auction run its full course. When the last hour of the auction began the highest bid was around $1700. Even though I knew that most action in an auction takes place in the last hour I was still tensed. What if no one places a higher bid? Though I would have sold the website for $2000, I would not have been totally satisfied with the price. Then the magic moments begun. The bidding war started. The price of my site escalated from $1700 to $4800 in next 20 – 30 minutes and the next thing I knew was that my website was sold for the ‘Buy it Now’ price of $6000! So even if your listing don’t get enough bids until the last hour, don’t panic and keep your calm. PayPal is great to send and receive money instantly, and the transactions are safe. But for the transactions where you are dealing with somebody completely unknown like in Flippa, Escrow is far better option than PayPal for your safety. If the transaction is over $1000 it is advisable to use Escrow for payments. It is not 100% secure, but it is definitely safer than Paypal. The funds are kept safe in the hands of Escrow until and unless both the parties are satisfied with the transfer of the property. From the moment you start using the Escrow service, all the activities are recorded by Flippa. Although a bit costly than Paypal, it promises a secure transaction. Flippa also offers a discount on the Escrow charges. I had a good experience with Flippa, and I do hope that this article was useful to you. If you have other tips or have any questions please share them in comments section. Thanks! I am really interested in BIN price psychology. Actually, I would not set a BIN price at all. Can you add something regarding BIN price decision? I’ve sold one of my websites on Flippa earlier. I am selling another one now. I made the mistake of setting my auction for 30 days. Yes, I didn’t get any bids for the first 15 days, got one bid now and I have 15 days to go. Let’s see how that works. But it’s nice to know that the last two hours is when the price goes up.